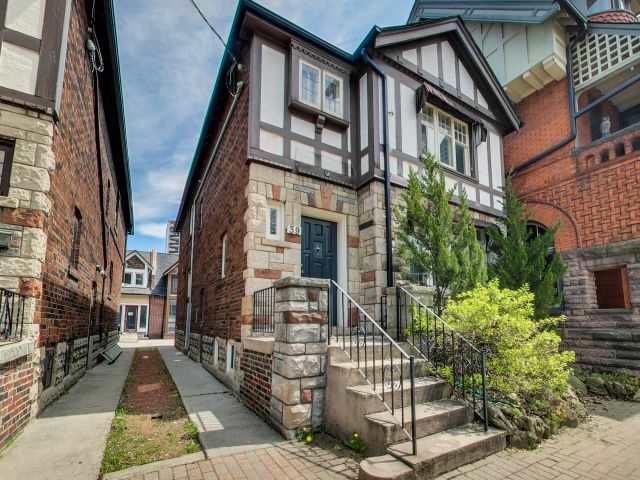 Boutique Office Building w/ Coach House on a premier street in the Annex area of Toronto. 2 car front pad parking. Zoning allows for Commercial, Residential or Combination of both making this an ideal Live/Work property. Main house has recently installed furnace, electrical service and roof. Each building has separate gas and hydro services. steps to Subway, U of T, Yorkville & Green P parking. Closest Intersection: Spadina and Bloor.